Press Release - FTTH Council Europe. Brussels, 14 November 2018 – Today the European Parliament gathered in plenary session in Strasbourg approved the new European Electronic Communications Code, which will soon become the new legislative framework for telecommunications. The FTTH Council Europe welcomes this vote on a new framework which provides the National Regulatory Authorities with the guidance and the tools to reflect Europe’s ambition to become a fully connected Gigabit Society. “While the entire ecosystem is changing, with Artificial Intelligence and Augmented Reality applications leading the innovation path, Europe needs to step up its efforts and give a real push to infrastructure investments in Europe. We believe the Code creates a more investment-friendly environment as well as ensures the regulatory certainty needed to foster efficient and competitive investments in future-proof digital infrastructures, not only from traditional business models but also from new innovative infrastructure models, e.g. wholesale-only” stressed Ronan Kelly, President of the FTTH Council Europe. These digital highways will be the key foundation of a European Gigabit Society and the FTTH Council Europe commends the co-legislators for placing the promotion of investments and take-up in very-high capacity networks based on fibre or equivalent at the core of the objectives of the new framework. “We believe that fibre is the only future-proof foundation enabling fixed and wireless gigabit networks as well as all new innovative digital technologies and services, however the words “fibre” and “fibre speeds” are increasingly used in advertisement while the advertised product is not genuinely a full fibre connection but still uses copper at some points of the network” highlighted Erzsébet Fitori, Director General of the FTTH Council Europe. This confusion is misleading for the consumers and prevents them from making an informed choice about the products available to them, and also risks hindering fibre take-up, which could in turn affect innovation and weaken the business case for investments”. The FTTH Council Europe therefore calls on the policy-makers to take the necessary actions to prevent misleading fibre advertisement. It is not only in the interest of the citizens and the businesses but also in the interest of Europe’s global digital competitiveness and sustainability that fibre-related products are not subject to misleading advertisement. The FTTH Council Europe is an industry organisation with a mission to accelerate ubiquitous fibre-based connectivity empowering a leading Digital Society throughout Europe. The FTTH Council Europe’s vision is that fibre connectivity will transform and enhance the way we live, do business and interact, connecting everyone and everything, everywhere. Fibre-based infrastructure is the only future-proof foundation enabling fixed and wireless gigabit networks as well as all new innovative digital technologies and services and the prerequisite for Europe’s global digital competitiveness and sustainability. European Commission calls for investment in fibre networks at BEREC 6th Stakeholder Forum. The 6th Stakeholder Forum organised by the Body of European Regulators for Electronic Communications (BEREC) gathered regulators, EU officials and industry players to discuss the future of the telecoms in light of the upcoming entry into force of the new European regulatory framework. The event focused on the draft BEREC Work Programme and the effectiveness of regulators in fostering investment in new generation networks. 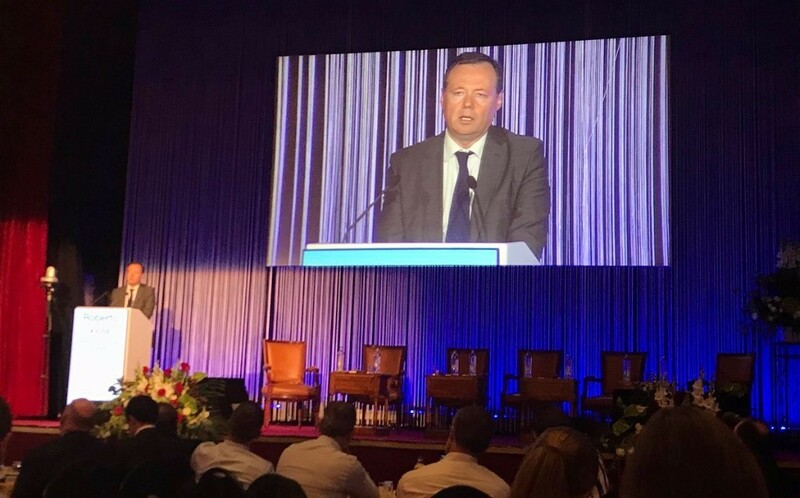 One of the highlights of the event was the intervention of the Director General of the European Commission's DG Connect Roberto Viola, who firmly stressed that the EC expects all European households to be connected with fibre. Mr Viola also emphasised the role of measures included in the new Code, such as on co-investment, in enabling a new era for investment. Speaking during the Forum, our DG Erzsébet Fitori also pointed out that regulators will have a huge role in encouraging clarity for all fibre investors, further developing fibre/5G convergence and facilitating a coordinated and effective switch-off of copper networks. 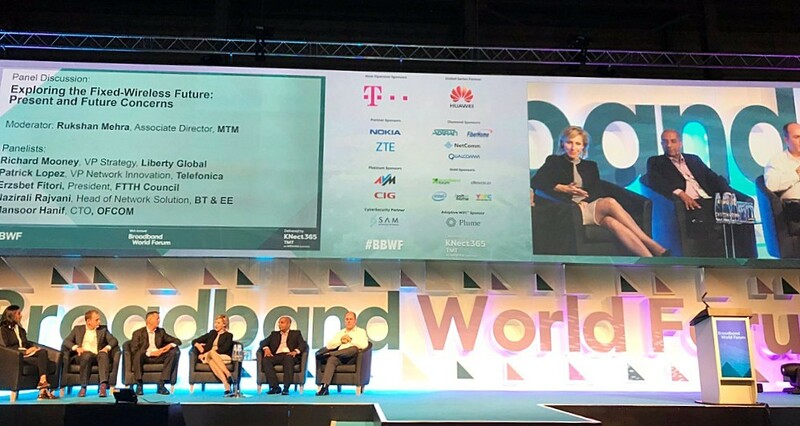 New generation fibre and mobile networks in the spotlight at Broadband World Forum 2018 in Berlin. The Broadband World Forum 2018 featured again a prominent involvement of the FTTH Council Europe: On 23 October, President Kelly moderated the panel discussion on 'Security 2020: Protecting the Gigabit Society', dedicated to discussing how networks and end-users will be protected in the digital society of the future. On 24 October DG Fitori then spoke in the panel 'Exploring the Fixed-Wireless Future', where she highlighted the strong convergence between new generation mobile technologies and gigabit fibre networks as the fundamental underlying infrastructure. For more information the Broadband World Forum's agenda here. 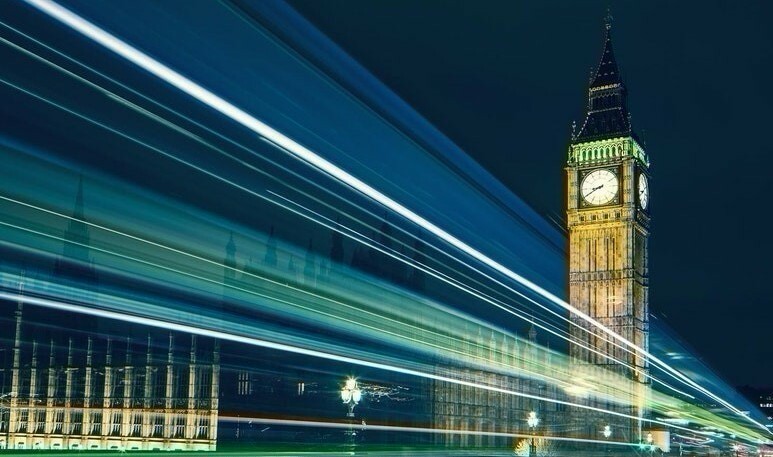 UK's Department for Digital, Culture, Media & Sports launches consultations on proposals to foster gigabit connections. The UK Department for Digital, Culture, Media & Sport (DCMS) has just launched two consultations related to measures to foster gigabit broadband in the country. Both consultations are open until 21 December (12pm) and regard measures introduced in July with the Future Telecoms Infrastructure Review (FTIR). The first consultation seeks views from stakeholders on the proposal to make it a requirement for developers and operators to provide gigabit-capable connections to new homes, while the second addresses DCMS' measures to make it easier for commercial and residential tenants to access high quality and reliable broadband. More information here and here. European Commission's International Digital Economy and Society Index! Discover how digital is Europe compared to other major world economics with the Commission's International Digital Economy and Society Index. The International Digital Economy and Society Index (I-DESI) assesses where the EU stands compared to non-EU economies in its progress towards a digital society and economy. It focuses on 5 dimensions: connectivity, digital skills, use of Internet by citizens, integration of technology and digital public services. 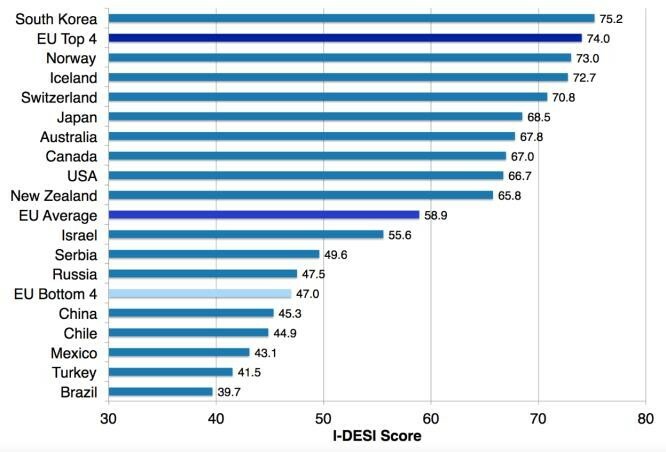 The latest I-DESI, just launched by the European Commission, shows that EU Member States on average compare well with the non-EU countries, in particular when it comes to connectivity and that the top EU countries are among the best performers globally. However important differences between the most and least advanced EU Member States remain. As regards connectivity in particular, EU Member States do better in broadband prices and broadband coverage and take-up, while they perform less well in terms of 4G coverage and mobile broadband take up. If you are interested in fibre trends for the EU and European countries, have a look at the latest version of our Market Panorama here and join the FTTH Conference 2019 in Amsterdam to discover the new ranking!